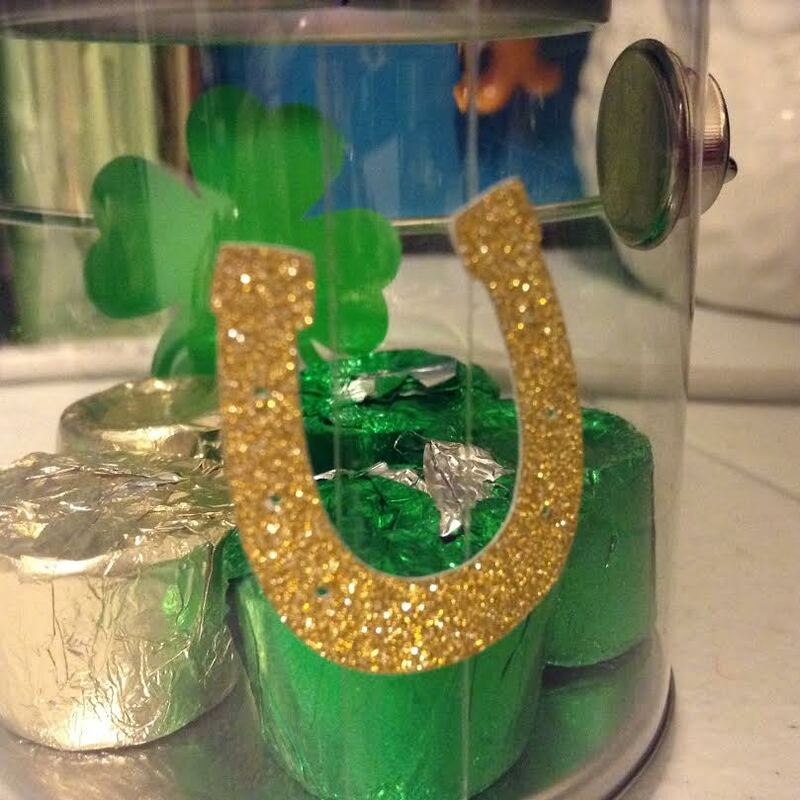 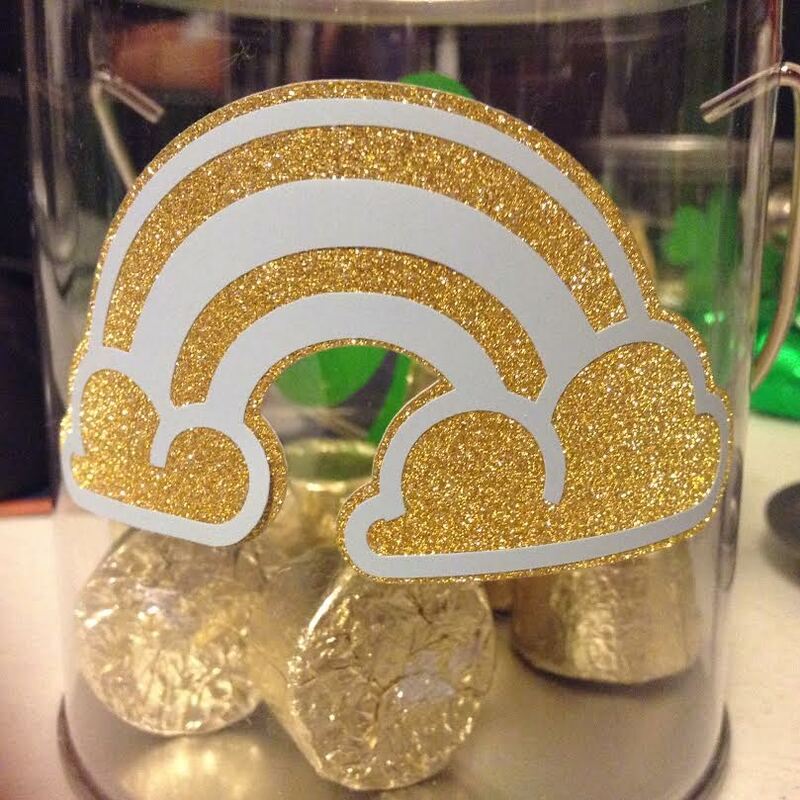 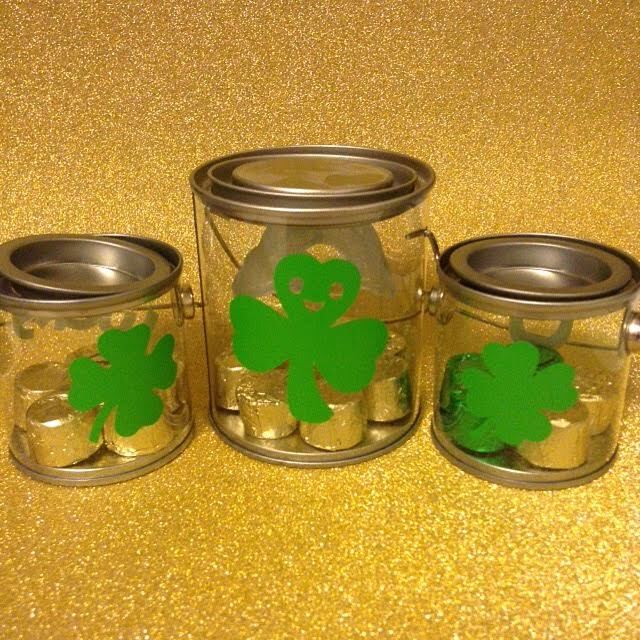 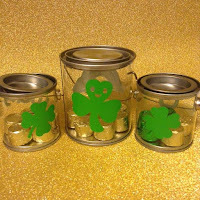 My coworker and her daughter had this really cute idea to use the small clear craft paint style cans and layer them with Rolos on the bottom for gold and Sixlets in the color of the rainbow on the top. 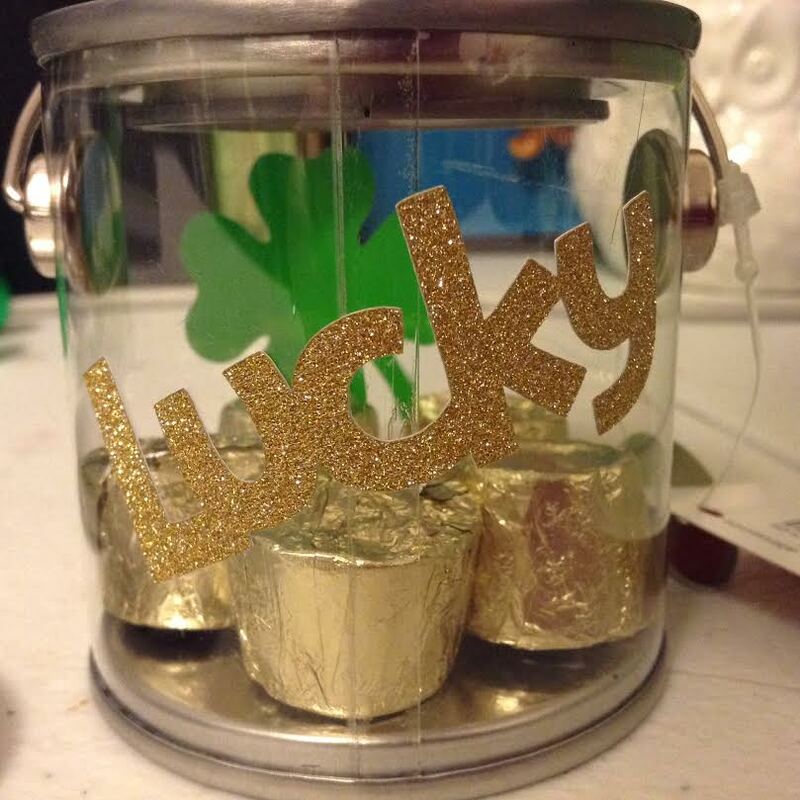 I had a couple small containers and thought it'd be fun to give the ladies I visit teach. 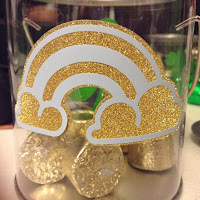 First, I cut some vinyl with my Cricut to spruce up the outside a little. 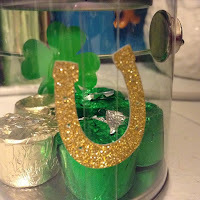 Then I layered Rolo's in the bottom of each container..
Then , the finished product!!! 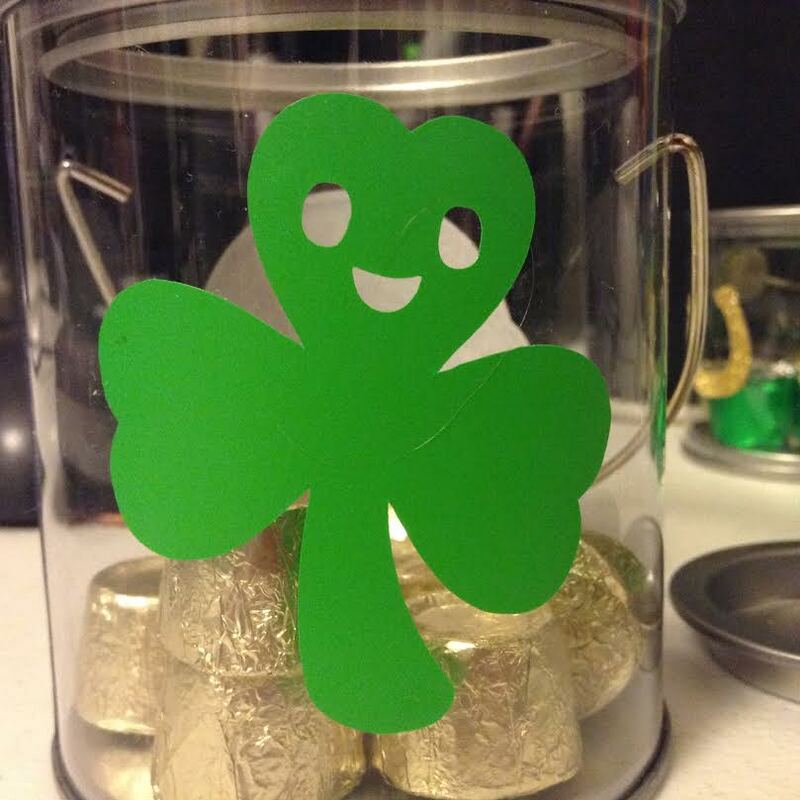 I had white, some pearl white and green Sixlets and tried to layer them in. 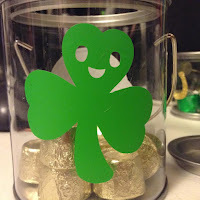 I think they turned out pretty well and the ladies I visit really liked them too. Win!